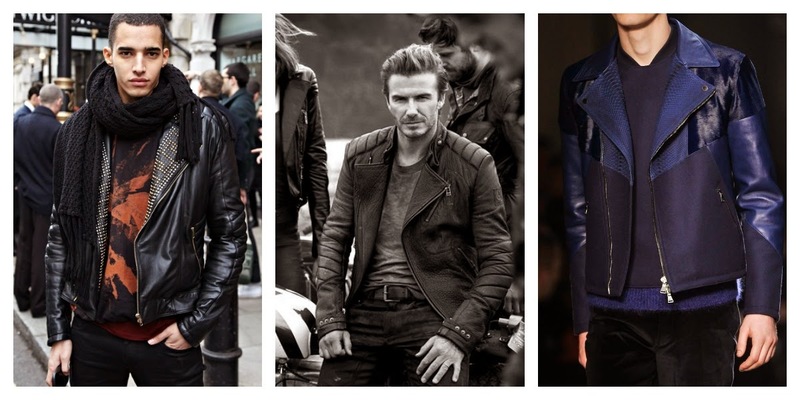 TrendHimUK: Leather Jacket Rules for 2014-15! 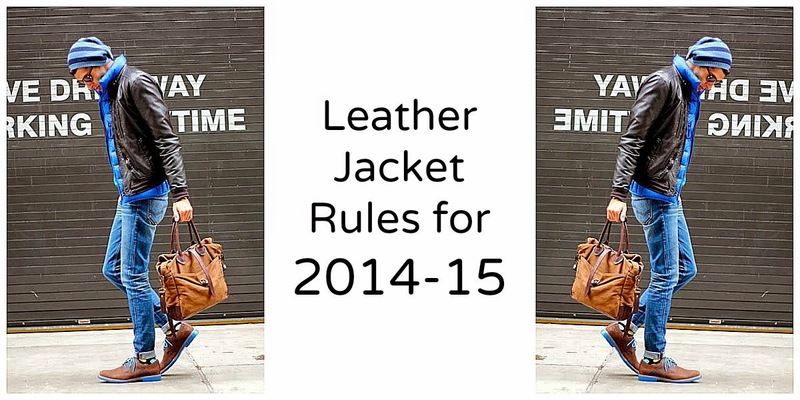 Leather Jacket Rules for 2014-15! No men’s wardrobe is complete without at least 2 leather jackets. It’s not a question of age or size. It is a MUST! Why? Because it’s a wardrobe heritage that will never go out of fashion! It’s a big trend since 1950s. Besides it’s so equal to biker and bad boy/though guy look, which is always the biggest attraction for women; and also guys. 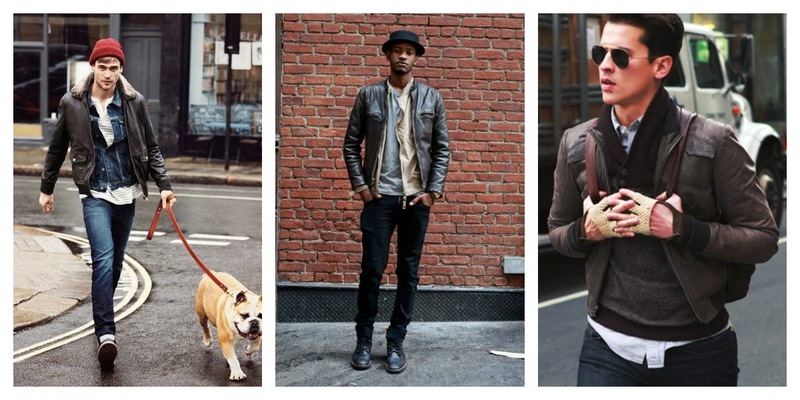 Leather jackets has always been considered to be among menswear’s greatest staples. After saying many good things about leather I have to add that leather trousers are not as welcomed as jackets. In fact don’t wear them at all. As I mentioned that leather jackets are in fashion since 1950s it’s tricky to keep the style updated which means that the cut of the jacket is crucial. Bomber style is the best! Coloured leather jackets are bold and trendy. No leather jackets with faux furs anywhere. 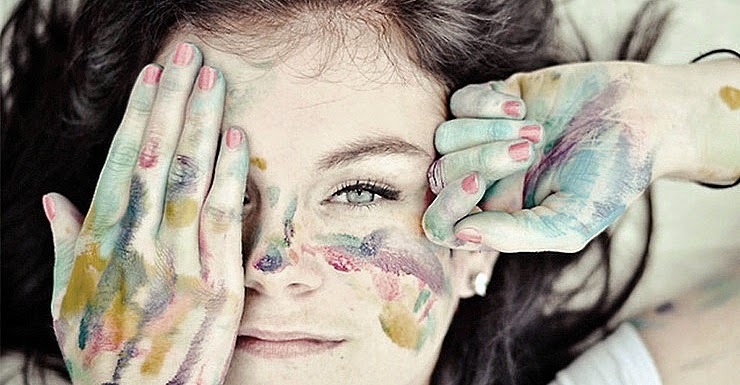 There are many ways that you can rock your leather jackets in the most trendy way. Backpacks are one of the ways for an urban street look. Opting for a brown leather jacket is an easy way to lend vintage-inspired design. Trainers or cool biker boots would be the clever choices with your leather jacket. 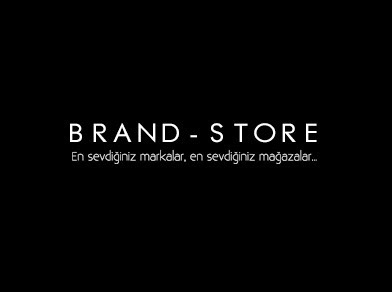 for the FW13 campaign of Boss Orange.